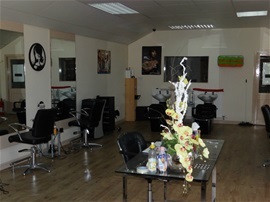 LV Hair Design in East Calder is a unisex hair salon which offers a quality, reliable and professional service to all its clients around the area including Livingston and West Lothian. Our hairdresser looks after the needs of all clients to the highest possible standard. We are located within J & R Veitch, Almondell Garden Centre. Regardless of your location in East Calder, Livingston and throughout West Lothian we will be delighted to create the perfect image for you. With a variety of options suitable for unisex clients you can rely on our Balmain trained hairdresser for a perfect finish. Do not hesitate to book your appointment or for further information we welcome all enquiries at our professional hair salon.